One of the stand out, stellar bands from the wide scope of globally established stoner and desert rock acts, Ohio’s VALLEY OF THE SUN, break the news of an imminent new album release. ‘Old Gods‘ is set to arrive May 24th via Fuzzorama Records, and with today’s revelation comes the first single from this highly anticipated offering, the solidly matter-of-fact “Means The Same“. The song is unmistakably VALLEY OF THE SUN at its deepest core, with the band’s molten riffs propelling the new tune’s advance while inescapable hooks are embedded. Holding the listener tight as a gamut of groove-based rhythms, fiery energy, and the signature vocals of singer Ryan Ferrier mercilessly rock the body. 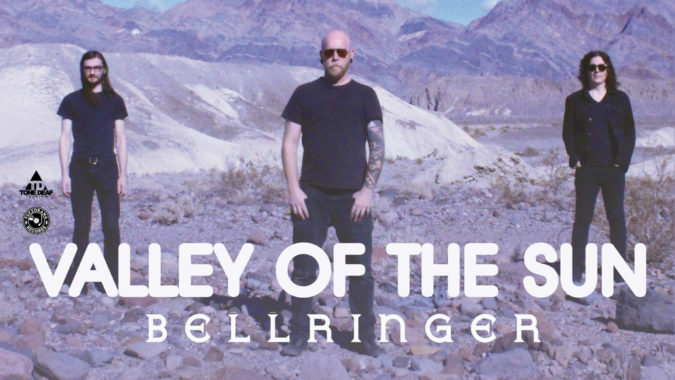 VALLEY OF THE SUN are rounded out by members Josh Pilot (guitar) and Chris Sweeney (bass, keys) who will join alongside Ferrier and Boyer when the band tours the U.S. and Canada beginning next month. Joining them as support for the trek will be Bellringer featuring former (the) Melvins bassist Mark Deutrom. The tour’s full itinerary is provided below. ‘Old Gods‘ will arrive in a variety of formats, including CD digipak, colored vinyl LP (gatefold transparent green, gatefold black), as well as gatefold splatter vinyl that will be sold only at live shows and directly through Fuzzorama Records. Find pre-order active now at this LINK.